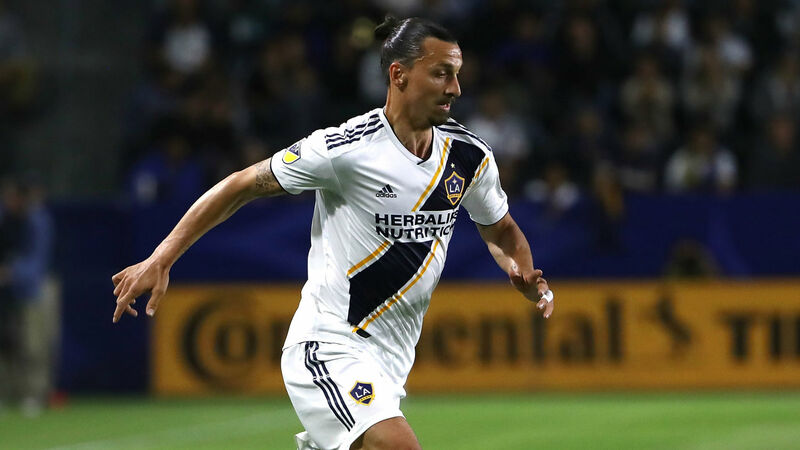 The LA Galaxy are on the outside looking in as the MLS playoffs draw near, but that doesn’t mean the club can’t compete for an MLS Cup title, according to star forward Zlatan Ibrahimovic. The Galaxy have had their struggles this season, including a seven-match winless run that only recently came to an end, but the Swedish star believes that his club has all that it needs to threaten other contenders for the title. LA sits seventh in the MLS Western Conference table, just three points back of the sixth-placed Seattle Sounders and four back of fifth-placed Real Salt Lake with four games to play. “We have that team that can make it in the playoffs,” Ibrahimovic told reporters. The Galaxy earned a crucial result last time out, picking up a 3-0 win over the Sounders to narrow the gap between the two for the final playoff spot, and Ibrahimovic’s teammate Ashley Cole believes that result could be just the boost the club needed. “If you would have asked me before the Seattle game, do we deserve to go to the playoffs, I would have said no,” Cole said. “But after that performance, I would have to say yes, because I think the way the team is playing, it’s totally different to the other games. The situation Cole is referring to remains dicey at best for an LA side with big expectations. LA will face the Vancouver Whitecaps, who trail the Galaxy by a single point, on Saturday with a massive clash against Sporting Kansas City to follow. Minnesota United and the Houston Dynamo, two clubs with no real hope of a playoff place, are on tap to close out the season as news boss Dominic Kinnear, who stepped in to replace Sigi Schmid earlier this month, looks to complete an unlikely turnaround this season.